The sign is made with durable material with 12” x 2” tall letters. 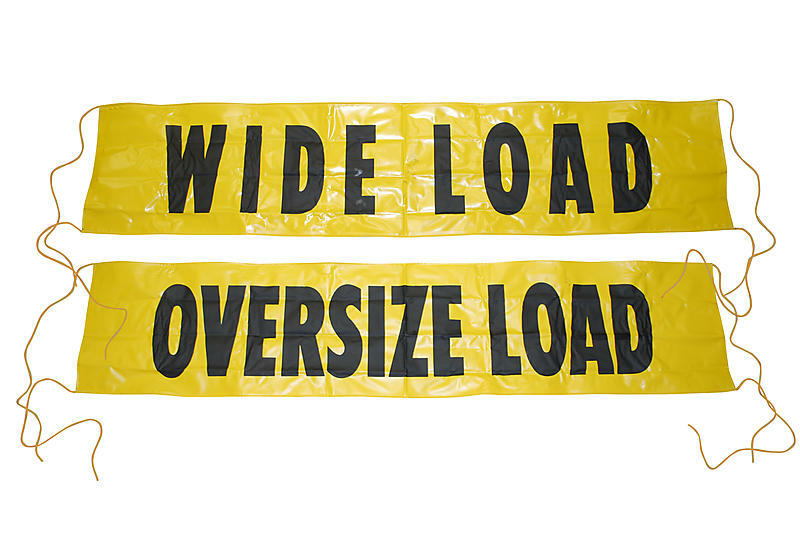 This oversize / wide load banner is reversible, containing two phrases: OVERSIZE LOAD on one side and WIDE LOAD on the other side. This sign gives you flexibility for the cargo you are hauling. This banner is DOT compliant and has 12’ weatherproof polypropylene ropes sewn down the length of the sign so the ropes take the strain and not the sign. These signs are required by most states when hauling large loads and they help keep passing vehicles informed.